General scenes around South Gippsland, within easy access of Yarram and Port Albert. Old Port, at Port Albert. 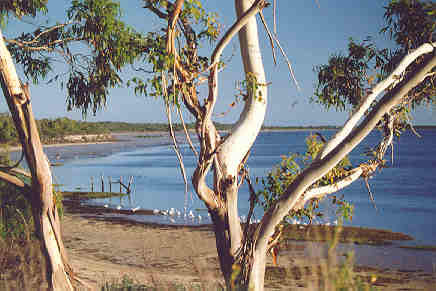 A walking track follows the inlet from Seabank to Port Albert. The Ninety Mile Beach, Wodside. 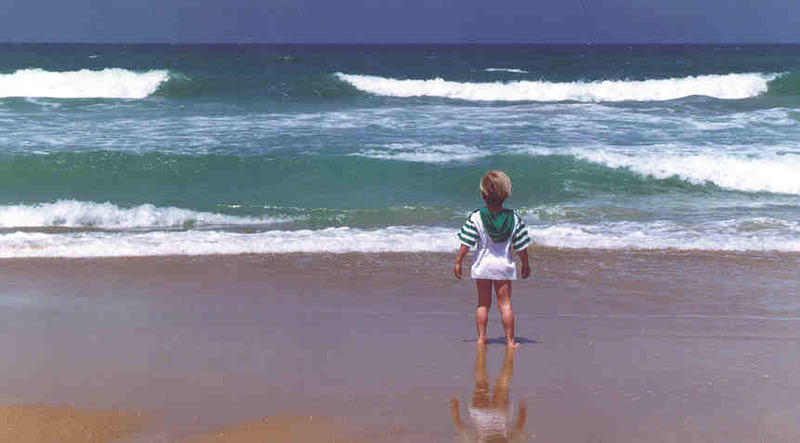 The beach provides exellent fishing, surfing and swimming. Rosella parrots at Tarra-Bulga National Park. There are several fine walks through the two parks. Look out for the lyrebirds. 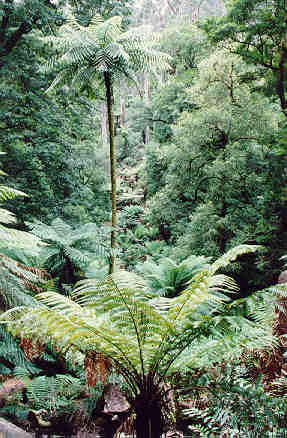 Fern gully at Tarra-Bulga National Park. Built in 1856 entirely without nails. 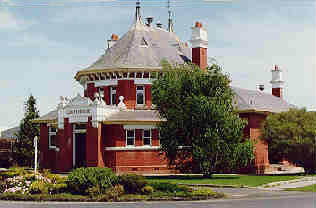 Old Court House, Yarram. 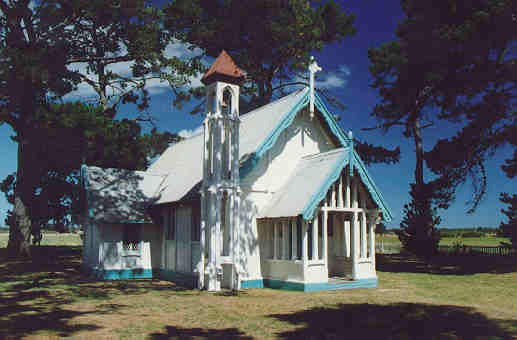 Used now as the Information Centre. 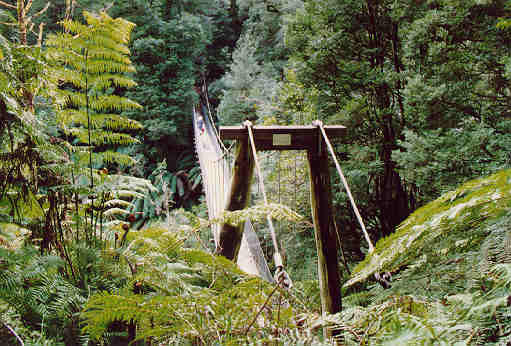 Swing bridge, Tarra-Bulga Nat. Park. 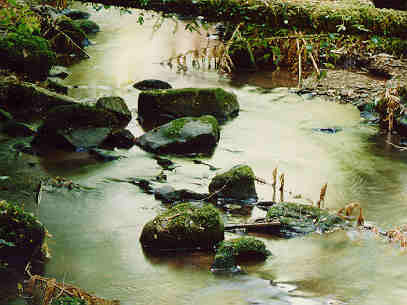 Creek, Tarra-Bulga National Park. 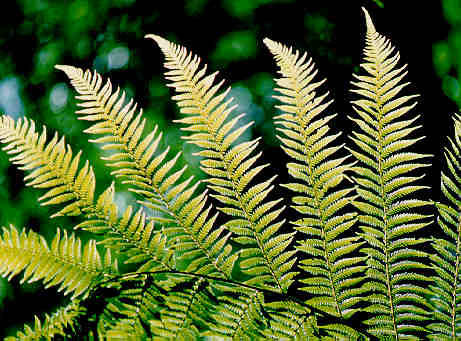 Ferns, Tarra-Bulga National Park. Yarram is the centre of a range of wonderful tourist attractions. Port Albert is known for its excellent fishing and boating facilities. A map page is available, showing how to reach South Gippsland.